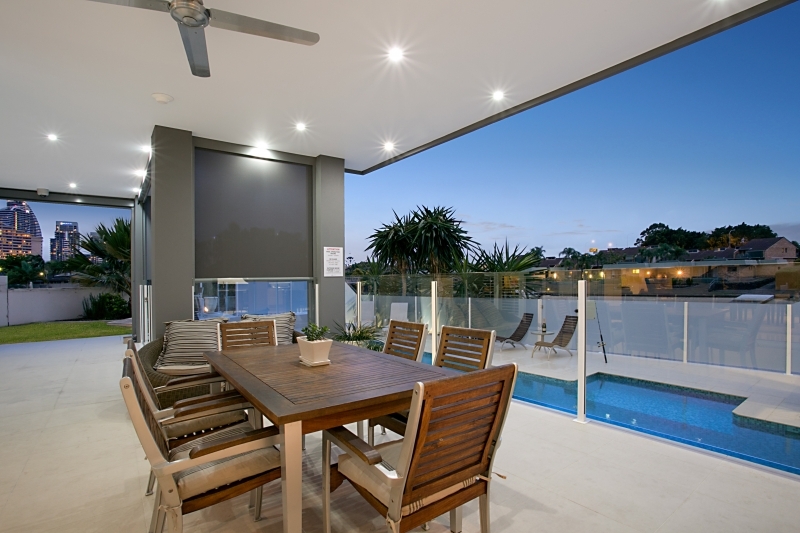 Outdoor entertainment area at luxury property, Broadbeach Luxury Waterfront – perfect for relaxing after a long day on the golf course! If it’s a golfing holiday you’re after, we’ve got you covered! We can add a golfing package to a stay in any of our homes – plus, we’ve had a number of professional golfers stay at our luxury Gold Coast holiday homes. You may not play like them, but you can stay like them! We have partnered with ladies from the professional golf circuit who recently stayed in one of our homes while competing on the Gold Coast. Adam Scott has stayed at our homes and went on to win…perhaps it’s the relaxing atmosphere! Call today on 07 5592 3881 or send us an email.